The next three weekends will see the streets of Sandton transform into street-play haven, as the City of Joburg rounds up its EcoMobility Festival, with fun, games and loads of entertainment. The Festival not only encourages citizens to use alternative ways of transport to curb congestion in the CBD, but is also introducing an urban culture of using streets for social activity and sport. The City has released a schedule of activities beginning with the Sports Weekend on the weekend of 17-18 October. On Saturday the 17th, an exciting 300m monster Slide Jozi will be set up on West Street, stretching between Maude and Fredman Drive. It will be an exhilarating experience, many of the slots have already sold out. Also, for the whole weekend 17-18 there will be informal sport competitions, where members of the public will participate in small-sided games including football, netball, cricket, basketball and indigenous games. There will also be table tennis tables and Joust available for members of the public to use. On the next weekend (24-25 October) there will be the Discovery Duathlon, a walking and cycling race between Sandton and Alexandra. The grand finale is on Sunday 31 October, where all residents of Joburg are invited to the Eco-Block party on West Street from 12:00 till late. 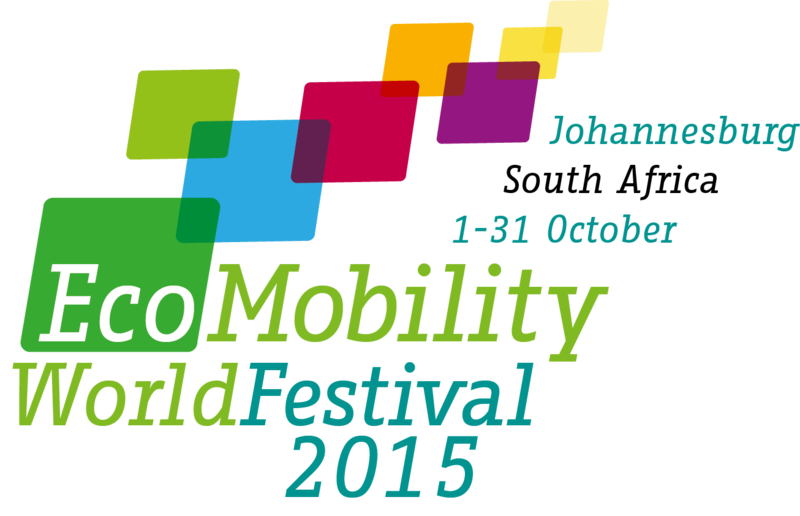 “We want to put on a big show to mark the end of what has been a wonderful Festival and thank the residents of Joburg for embracing EcoMobility” said Lisa Seftel, Head of the Transport Department. There will be screens where both the Rugby World Cup and the big football derby between Kaizer Chiefs and Orlando Pirates will be shown live. This will be preceded and followed by live entertainment from award-winning artists like Black Coffee, Mafikizolo, HHP, Beatboxer and many more.